Technology has of course made our life smoother and better but with every new development in technology there also develops a new technology to infect them. Hackers to meet out their vested interests are finding out new and smarter ways. The growth in new and more powerful Malwares is increasing day by day with newer form coming out from every nook and corner of the dark world. Now, what is a Malware? Malware is the short for malicious software. It is software used to disrupt computer operation, gather sensitive information, or gain access to private computer systems. It can appear in the form of code, scripts, active content, and other software. 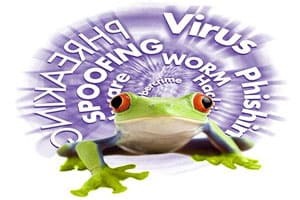 A virus is a small piece of software that can spread from one infected computer to another without user’s knowledge or permission. Virus will spread only when it is transmitted by a user through network or internet, or via removable disk such as CDs or memory disks. Some virus can delete, corrupt or steal your data from your system, and even can reformat your hard disk. Some other viruses can replicate themselves and present video, text, or audio messages. 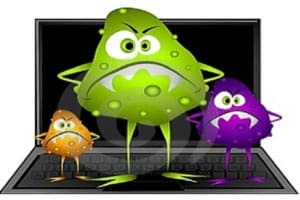 Even if they are not meant to cause damage, they can take up memory and can cause erratic behavior, system crashes and loss of data. 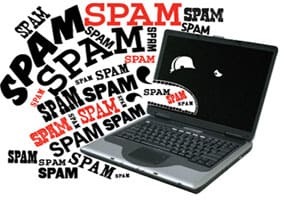 Spam is the electronic version of junk mail which sends unwanted messages and advertising to large number of recipients. Spam is a severe security issue, as it can send emails that contain Trojan horses, worms, viruses, spyware and targeted attacks aimed at stealing sensitive, personal data. If your mail do not contain an email ID, that can be a spam. Some spam can have offensive words or links to web sites with improper content. Spyware is software that gets installed into the system without user’s knowledge. It can monitor user actions or can restrict user’s control over a system. 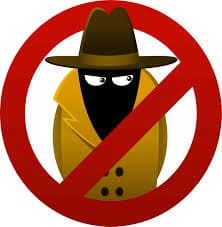 Spyware tries to remain unnoticed, either by actively hiding or not making its presence on computer. Spyware can collect personal data like credit card details, username or pass words, website visited. It can also install other malwares, redirect web browsers to malicious websites, and change computer settings. Spoofing is an attack where program or person pretense to be someone else. Phishing is another kind of spoofing where a fake website is created that just appears as a legal websites. This fake websites are under the control of the hacker and they can collect your credit card details, passwords, names, and other sensitive information. Phishing is mainly done through email or instant message. Some email claims to be from a legal source but when you click on the given link, you will enter into the fake web page. Pharming is an attack in which an attacker redirects website’s traffic to another phony website. Pharming can be done either through changing the hosts file on a victim’s system or through exploitation of vulnerability in DNS server software. 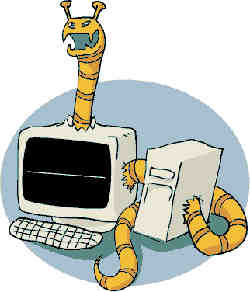 A computer worm is a self replicating software program that can be copied itself from one computer to another without user interaction. This worm can replicate in great amount with great speed. It does not need to attach itself with any existing program to spread. With their replicating nature, worms consume bandwidth and can degrade the network performances. Worms can send payloads that make the hackers to get control of the infected computers and change it into Zombie. Adware is software that can play, display, or download advertisements to a system. Adware operates either after the installation of a software into the system or while the application is being used. Sometimes users accept the adware in exchange for using software at no cost. 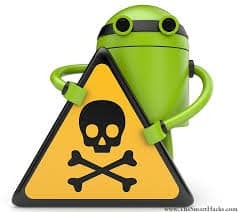 All the adware are not harmful, but some adware are also spywares and hence a threat to security. 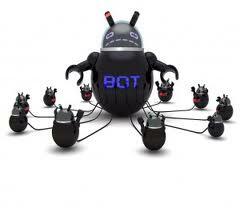 Botnet is a group of software robots, or bots that run programmed task on the internet. The term botnet refers to a disturbed network of compromised computers, which is called as Zombie computers. These Zombies run programs like Trojan horses, backdoors and worms. Botnet are used to start Distributed Denial-of-Service (DDoS) attacks against websites. * Security measures such as FireEye, Simplicita, Damballa, Symantec, and Trend Micro can be used to prevent botnets. 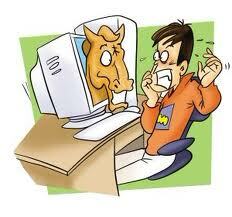 Users can get infected with Trojan horse by downloading applications which often pose as must have software to users. In other words the malicious websites try to lure the users into downloading an amusing application with malicious codes embedded into them. The Trojan horses can deliver payloads and hence have the potential to cause damage. They can delete or overwrite data on computer and cancan add user’s computer to a network of Zombie computers to start Distributed Denial-of-Service attacks or send spam. This can allow remote access to victim’s computer and can install other malicious programs also. 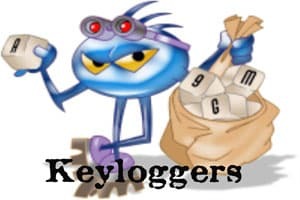 Keylogger is a software program that is installed by Trojan horse or virus on a computer. This will record and capture user keystrokes. The captured data is then transmitted to a remote system. Though keyloggers can not damage the computer system, it should be treated as a serious threat. * Use network monitors so that the users get alerted whenever an application tries to make a network connection. Denial-of-Service or DoS attack can make website or web services unavailable to the users. Most common method of attack is saturating the victim computer with external communication requests. Then the computer cannot be able to respond to any legitimate traffic or runs slowly and finally the service becomes unavailable. Attacks are mainly launched by zombie computers or botnets and they are commonly known as Distributed Denial-of-Service or DoS attacks. * Routers and Switches can be configured to cut off traffic and avoid the DoS attack. * Intrusion-prevention systems are efficient when the attacks have signatures linked with them.